Social media is not a new form of advertising. But it is a new method for branding your business. Facebook is not a new avenue to talk at your customers. But it is a new method for talking with your customers. The biggest mistake most businesses make with social media (heck, with all forms of advertising) is using them the wrong way. With social media, the specific mistake is thinking it is a platform for you to talk about your business. If you think that way, you have it backwards. Social media is for your customers to tell you about their lives and how you fit in them. Therefore, the best way to use social media is to help your fans and followers start the conversation and then let them do all the talking. Ask questions. Ask for feedback. Tell them what you're thinking and ask if they agree. One way I like to start the conversation on Facebook for Toy House is to post pictures of two competing toys to see which one my customers prefer. Quick Polls. People love to give you their opinions, so let them. 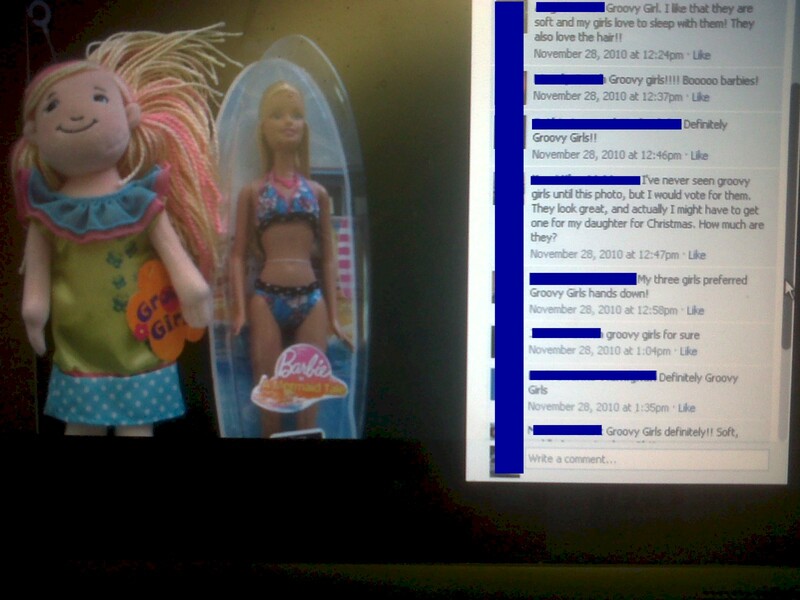 One time I posted this pic of Groovy Girls vs Barbie Dolls. You can see from the comments how my fans were doing the "selling" of Groovy Girls. Far more powerful than me trying to "sell" my customers. The other advantage of these quick polls was how easily it was to get a read on what my fans liked and didn't like and why. They told me! Not only did I get my customers to do the selling, I got valuable information about what my customers liked and disliked. I also got a lot of interest. The more people commented, the more people saw the post. We found that the number of people who "liked" us grew faster when we did stuff like this rather than just shout out "We have Groovy Girls!" In 1949 my grandparents, Phil & Esther Conley transformed a house on First Street into a toy store. Everyone said they were crazy. You can't sell toys year-round in Jackson. 18 years and three expansions later they had outgrown that house. On Monday, September 18, 1967 they re-opened Toy House at 400 North Mechanic Street. Forty five years later, the store is still going strong in our current building, still making people smile. If you like what we've done, share this with your friends. In a world where everything is becoming more disposable, some things are still built to last. It was one of the most popular posts ever in terms of views and shares and likes. Nostalgia is a powerful value that resonates with a lot of people. I didn't tell people what to do. I didn't tell them where to go. I told them what I believed in. I tapped into their own feelings of nostalgia. I tapped into their own belief systems. I deepened the connection they might already have and used them, by their comments and likes and shares, for reaching out to others who might share those same values. I love Facebook. Not as a means of selling, but as a means of conversing, of learning, of sharing, and of building a deeper relationship. PS Want to know more about the right and wrong ways to use all other forms of advertising? Read my FREE eBook How Ads Work Part 1.